Rashid Khalidi is the author of seven books about the Middle East, including Palestinian Identity, Brokers of Deceit, Resurrecting Empire, The Iron Cage, and Sowing Crisis. His writing on Middle Eastern history and politics has appeared in the New York Times, Boston Globe, Los Angeles Times, Chicago Tribune, and many journals. 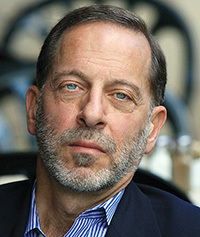 For his work on the Middle East, Professor Khalidi has received fellowships and grants from the John D. and Catherine T. MacArthur Foundation, the Ford Foundation, the Woodrow Wilson International Center for Scholars, the American Research Center in Egypt, and the Rockefeller Foundation, among others. He is the Edward Said Professor of Modern Arab Studies at Columbia University in New York and editor of the Journal of Palestine Studies.